RAGGED ROBIN plugs (lychnis flos-cuculi) from Wildflowers UK. Ragged Robin- lychnis flos-cuculi takes it’s name from the ragged look of it’s pale pink petals. It’s peak flowering time is in June but individual plants can often be found flowering late into high summer. 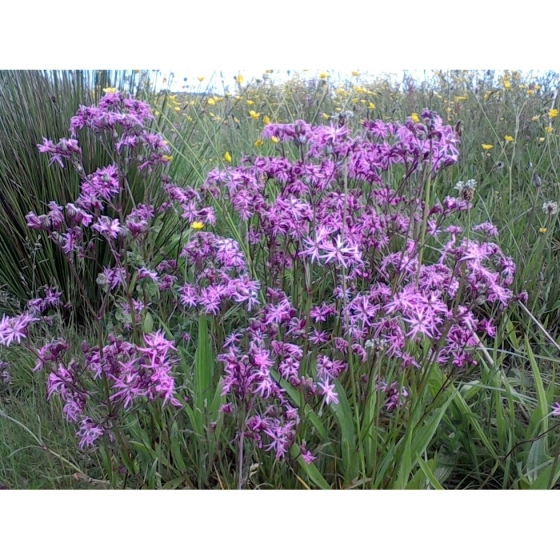 Ragged Robin is a wetland plant most often associated with damp ground and pond edges. It also grows alongside other small watercourses and in late spring a mass of plants flowering together can look quite spectacular. Ragged Robin can be included in a water garden and will readily set seed once established..
Ragged Robin looks best growing alongside Cuckoo flower and Marsh marigolds. 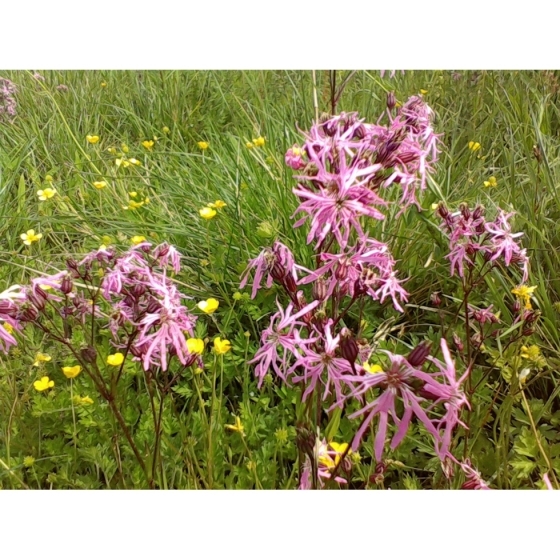 Ragged Robin plug plants can be introduced to their permanent planting positions from late spring through to October. Initially they should be kept well watered and left to develop for several months. When planting into established grass it is advisable to first cut the areas where the wildflower plants are to be introduced and create a small bare area up to several inches around each planting position to reduce initial competition. Given the right conditions they will develop quickly into flowering sized plants. A few Yellow rattle seeds sown around each plug may also be of benefit in the long term by reducing competition from grasses. 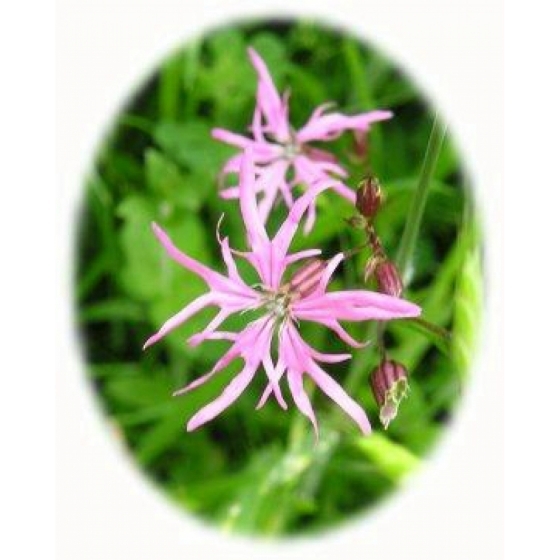 When handling plants bare in mind that Ragged Robin has a very shallow and fragile root system.